Just dug up this old retro square photo with rounded corners. I think I am about 3 or 4 years old? 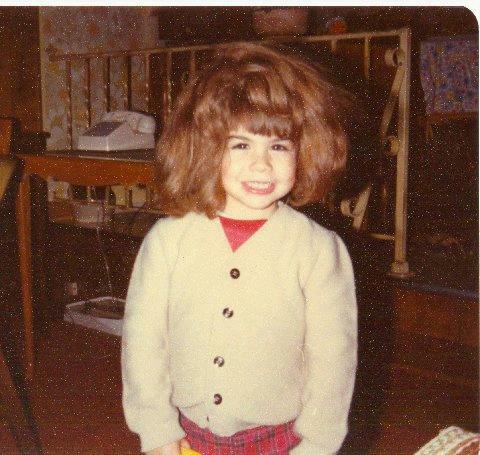 Not totally sure, but that is my Grandma's wig I have on. To funny! Not sure how that thing got onto my head... maybe a crazy aunt or uncle made me pose with it. Check out the old phone in the background. Yikes, remember those?! I think you had to plug those in, lol. Wedding Style Magazine National Feature! Andrea & John in Southern California!